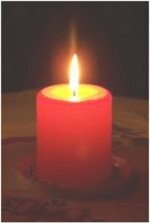 You are most welcome to join us for our Candlelit Carol Service. The service will feature many traditional carols, as well as a few newer ones. There will also be Bible readings and other reflections. After the service there will be festive refreshments and a chance to catch up of course. This entry was posted in Community, Events, Faith, Services. Bookmark the permalink.